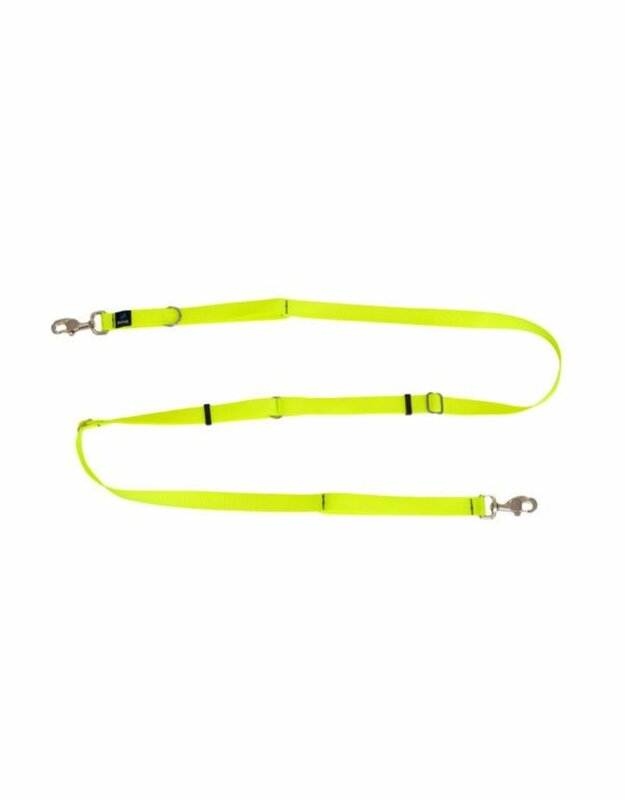 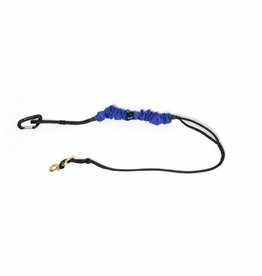 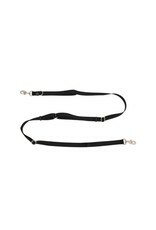 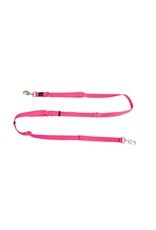 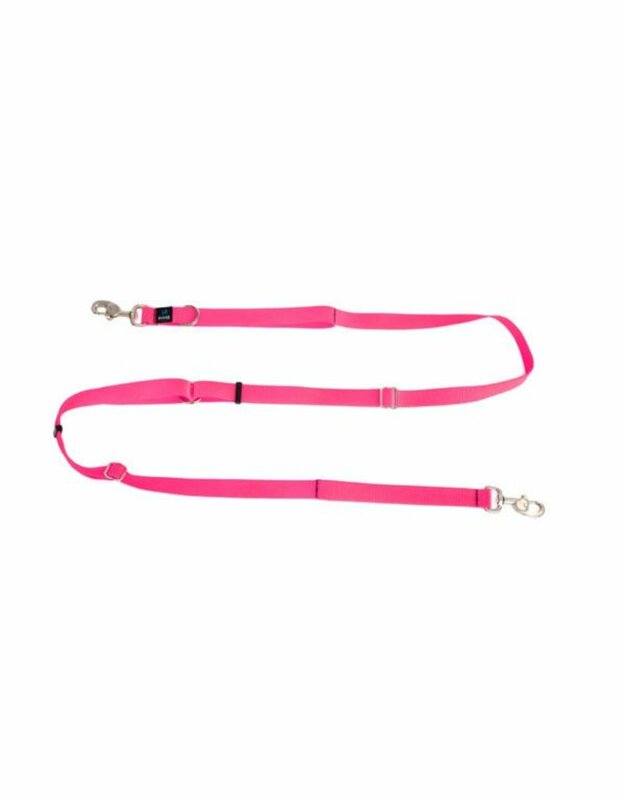 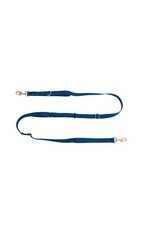 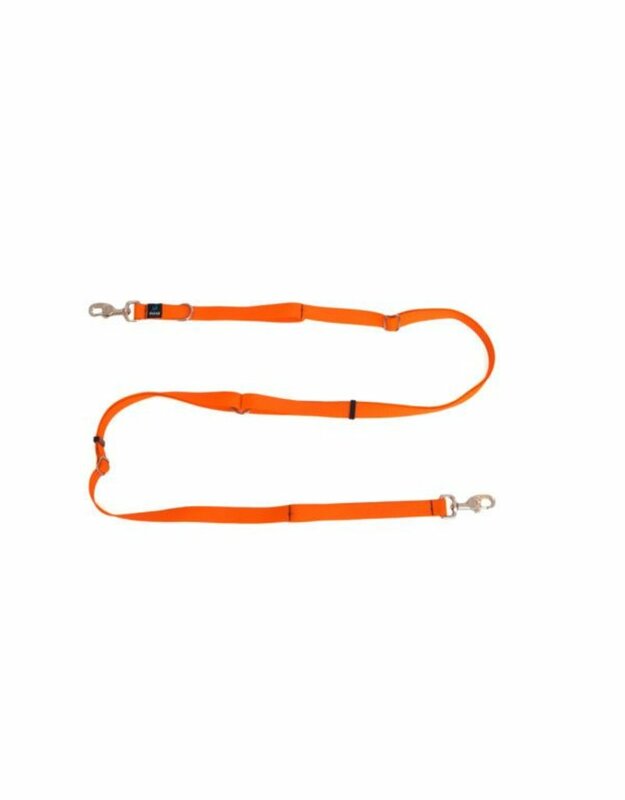 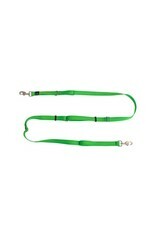 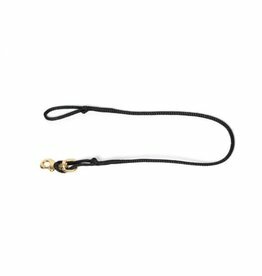 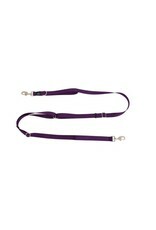 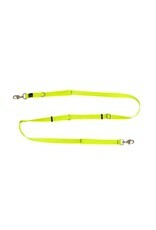 Made from a nylon strap, the leash has several functions & lot of color. 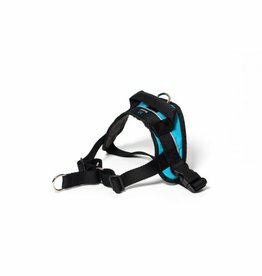 It can be used in many ways and is comfortable on the hand. 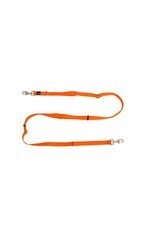 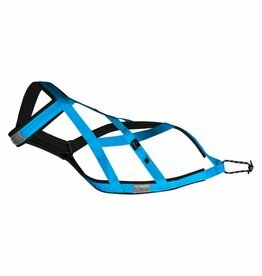 You can also attach the leash to your waist so you have your hands free. 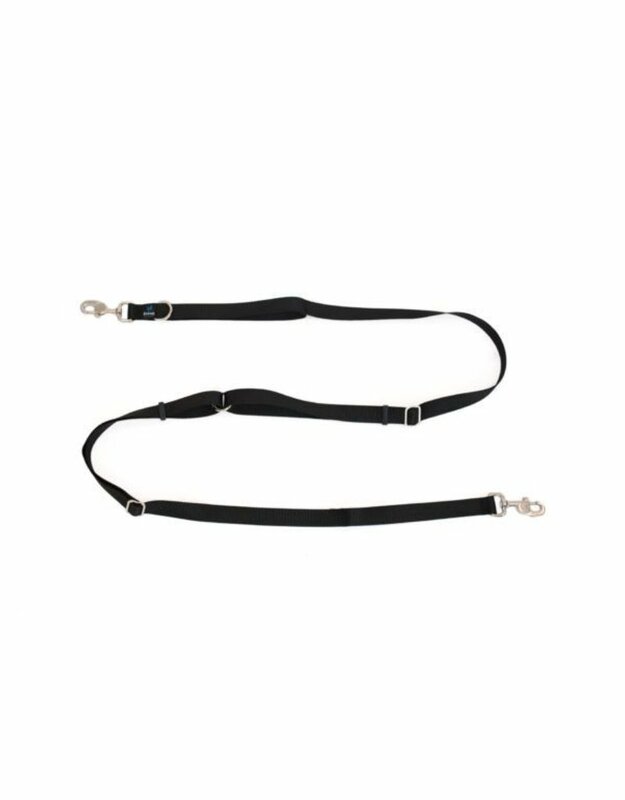 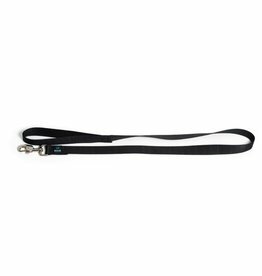 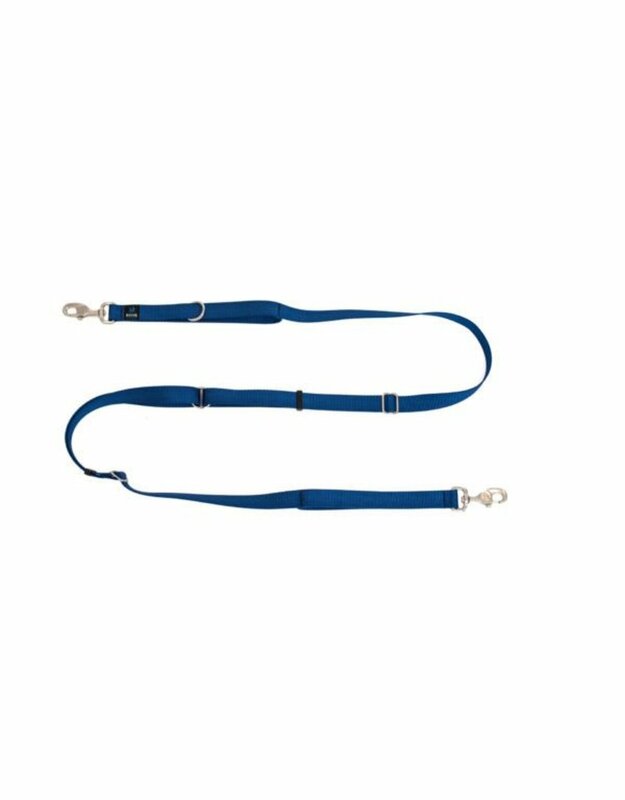 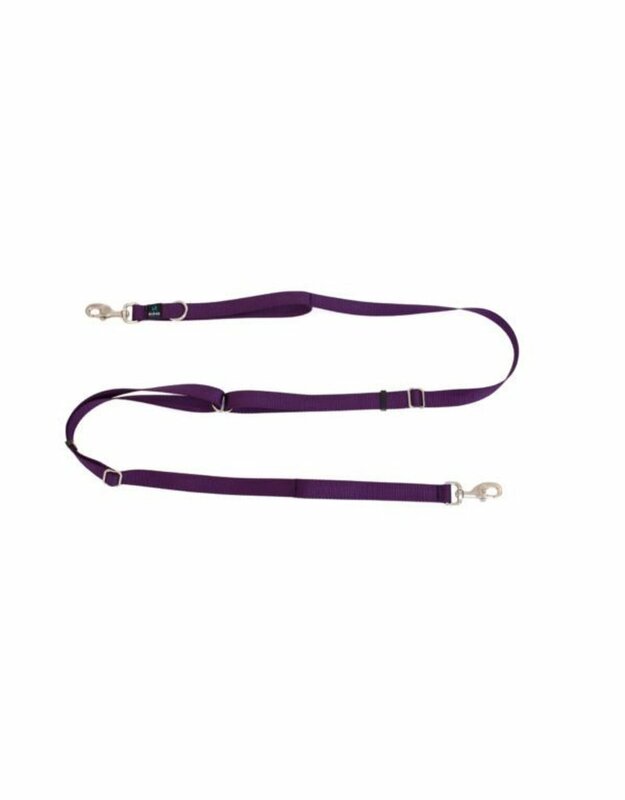 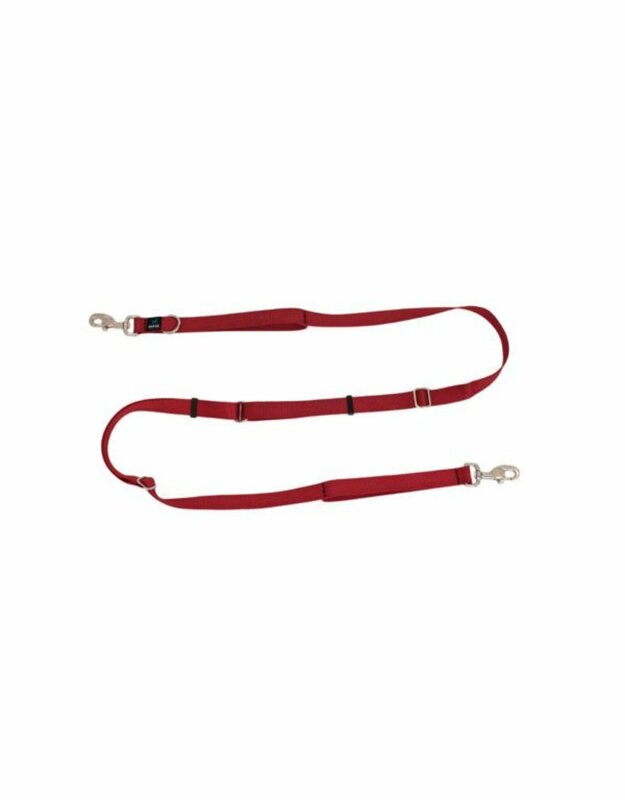 The leash can be lengthened or shortened for you to be more comfortable and in control of your dog. 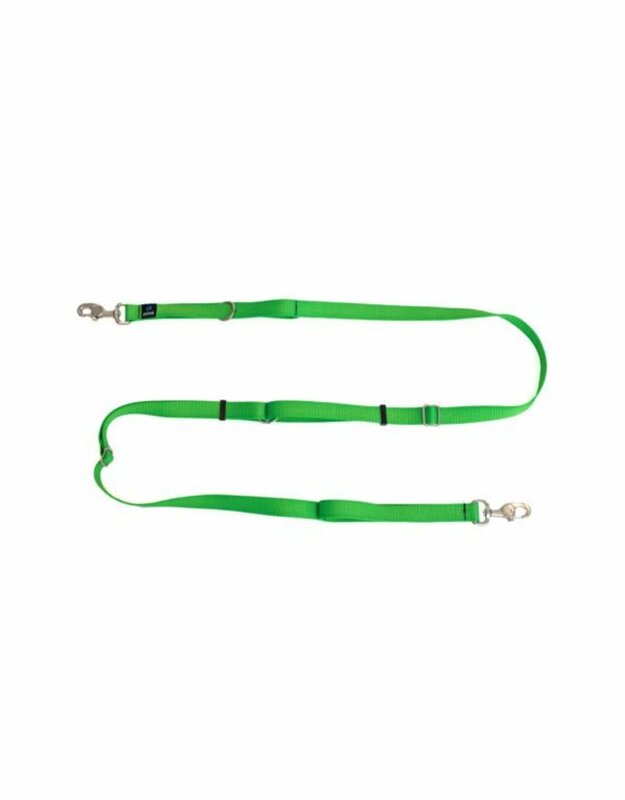 View its adjustable length, you'll be happy to know that it can go from 4 to 8 feet! 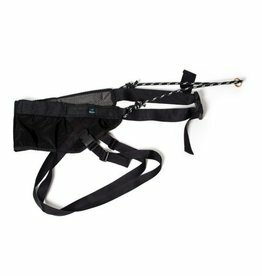 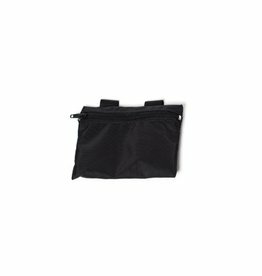 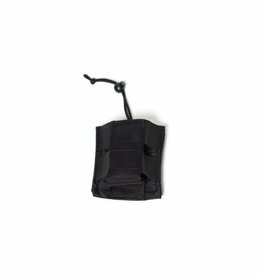 It is equipped with steel carabiners at both ends, easy to adjust, as well as a sliding ring and two handles.